Believe it or not, here at the Urban Bat Project, we do a bit more than hang out in the woods at night looking for bats. We also hang out in the woods in the daytime looking for bats! I currently have active bat box schemes, where we regularly check the boxes at four sites, with a further four sites getting yearly checks. 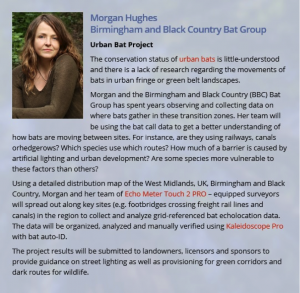 It’s a great opportunity to teach volunteers bat handling in slightly less stressful conditions (compared to mist netting) as you go at your own pace, handle one bat at a time, and the bats are generally more torpid. (Not to mention they are mostly noctules, which generally are better bats to learn handling on than tiny pipistrelles or wriggly brown long-eared bats!). 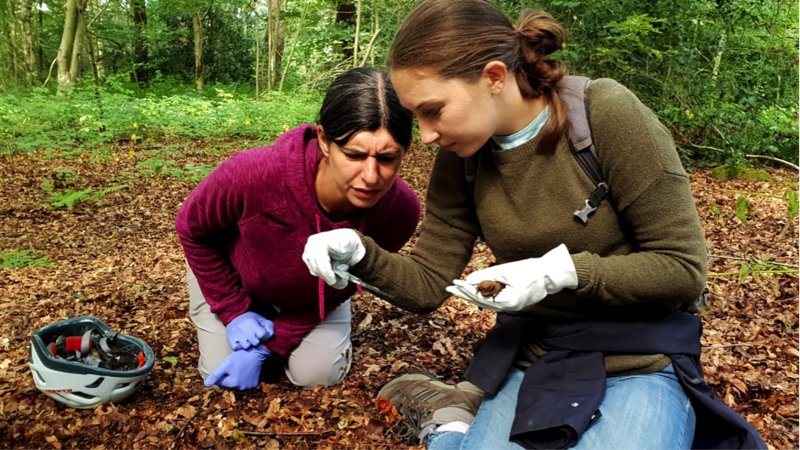 This time of year is an excellent opportunity to teach the volunteers how to assess the reproductive status of bats, which is what we’ve been doing this month. One of the things that we record when ‘processing’ bats is their sexual status. In females, this includes an assessment of their stage, if at all, of lactation. We record if the female is nulliparous (never having nursed young), parous (having nursed young), lactating (currently nursing) or multiparous (evidently having been a mother multiple times). Female bats are required to mate, gestate, birth, rear and wean their young all within one bat ‘season’, which is roughly April – October (depending on temperatures). Because of this, their young have to grow and develop rapidly, becoming independent in a matter of weeks after birth. In order to accomplish this, bats do something rather clever – they mate at the very end of the season (early autumn) and the female stores the male’s sperm inside her all through hibernation, only releasing an egg for fertilisation after she has survived the winter and woken up. This strategy is called ‘delayed fertilisation’ (not to be confused with ‘delayed implantation’ or ‘embryonic diapause’ – a different strategy where the fertilised egg is stored rather than the sperm, as in badgers). Delayed fertilisation accomplishes a couple of things. 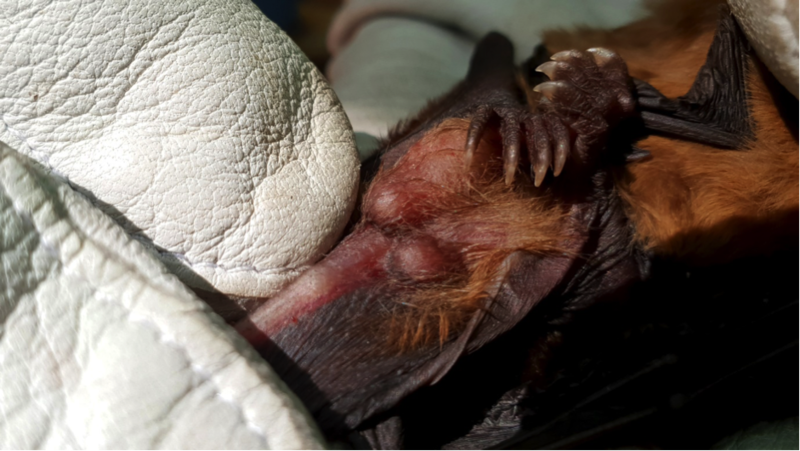 Firstly, she does not deplete her own valuable fat stores prior to the winter, so she is more likely to survive the colder months (an increasing pressure with climate change causing unseasonably warm periods during winter in which bats may wake up and burn their precious stored ‘brown fat’ in doing so). Secondly, it enables her to begin gestating her pup as soon as the weather is warm enough and there is food around – no messing about burning calories trying to find a mate. Bats in the UK generally give birth to a single pup (though twins do occasionally occur in some species), as they are, unlike most small mammals, a K-selected species. This means they are species that have low numbers of offspring but enjoy a long lifespan, whereas short-lived, R-selected species will have many offspring. A comparable-sized R-selected UK mammal such as a common shrew will give birth to a litter of seven and be pregnant with her next litter while she is still weaning. She will have up to twenty-eight young a year but enjoys only an eighteen-month lifespan, whereas a bat may live up to twenty years in the wild, giving birth to one pup per year. 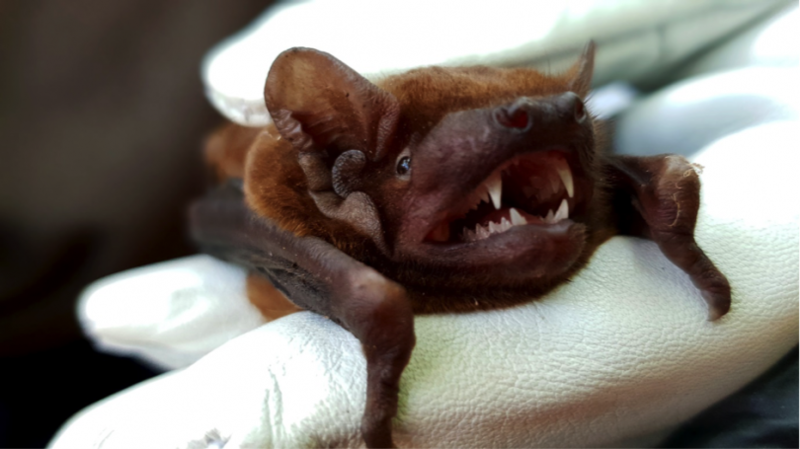 Gestation varies between species, but most bats are born something like forty-five days after implantation, spend the summer being reared, and are independent and feeding themselves prior to their first hibernation at four months of age. As for males, their main areas of interest in life are eating, territory and mating. Spermatogenesis in male hibernating bats is happening now. It is the production of sperm in the testes, causing the testes to swell, and the subsequent storage of that sperm in the epididymis (epids) – the reproductive organs below the testes. 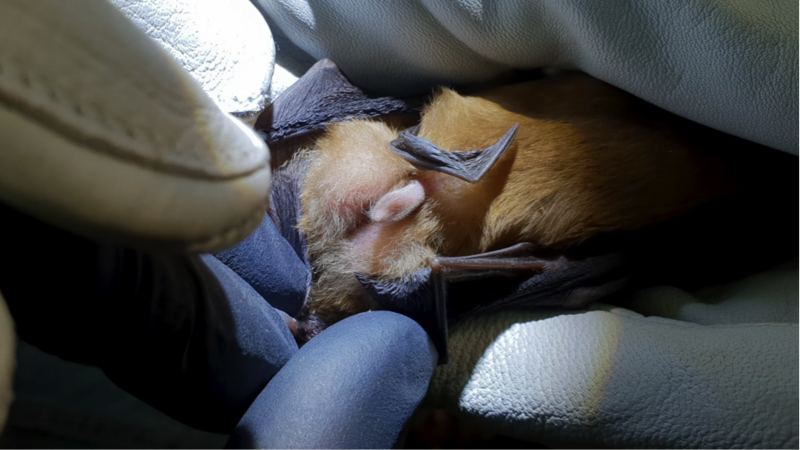 We assess the size of both and the colour of the epids to tell us the reproductive status of bats and also, peculiarly, their age. Through assessments like this, we are slowly gathering a picture of the health, ecology, age, distribution and social structures of the bats in the woods that we monitor. We’re learning so much from our advanced surveys, but there is something very special indeed about building a picture over a number of years of a site that you know very well, that is (dare I say it) even more rewarding for me than the excitement of trapping surveys. The familiarity of the long-term volunteers that either know the boxes by their numbers or have nicknames for them (e.g. 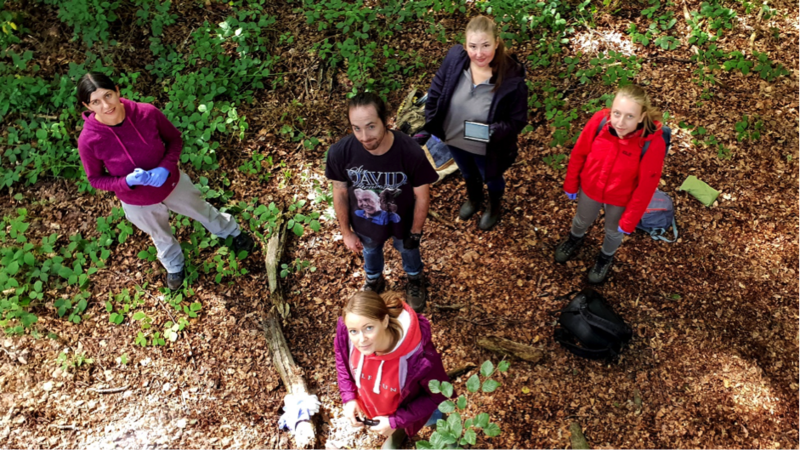 ‘Leisler’s box’) gives me a sense of camaraderie and a warm-and-glowing feeling that years of working with the same awesome people, monitoring the same awesome bats has given me. This is why I do what I do. Header Image: : Male noctule bat. Credit: Morgan Hughes.